Recently there have been a few bloggers that have reported about the inclusion of SuperTuscans at the Chianti Classico tasting organized by the Chianti Classico Consorzio in Florence. This is an annual tasting that is held in February and plans are to include SuperTuscans along with the bottlings of Chianti Classico from the Consorzio producers. "Everything remains unchanged. SuperTuscans (only one per estate and only coming from the Chianti territory) will be presented at the producers' desks." Hopefully, this clears everything up. 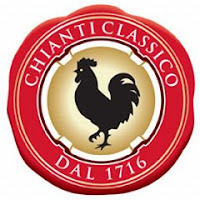 It seems that some wine journalists and bloggers were upset that SuperTuscans would be included in this event, believing that Chianti Classico should not have to share the spotlight with these more hyped wines. The decision as it stands now, seems like a very good solution to what could be a problem. Only allowing one SuperTuscan per producer means that these wines will not dominate. Personally, I believe this will make for a more interesting tasting, as it will give the journalists a chance to compare and contrast. I respect the opinions of those who argue for the purity of Chianti Classico and who are against this decision. But I am in favor of this new pronouncement, as it gives a journalist such as myself the option of trying what I want and organizing a tasting that is best suited to my needs. Trying the various wine types against each other provides an invaluable education and to me learning about Italian wines at events such as these are what makes my job so fascinating; discovering all the wines of this territory is truly an ongoing learning process. Everyone knows the name of Francis Ford Coppola, most likely as the director of such outstanding films as Apocalypse Now, The Conversation and The Godfather Trilogy, but also as the owner of one of Napa Valley's finest wine estates. Located in the heart of Rutherford, just west of Highway 29, this farm has been one of Napa's most famous Cabernet Sauvignon estates, ever since its founding in 1880 by Gustave Niebaum, a Finnish sea captain. 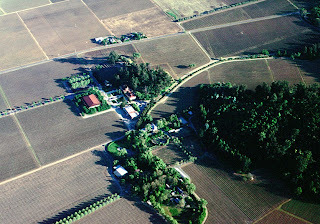 Niebaum named the estate Inglenook and with an eye on producing reds that could challenge the world's best, received such praise from several corners in Europe. Prohibition slowed things in Napa, but upon repeal, Niebaum's wife's grand-nephew John Daniel, Jr. took over the estate and elevated the wines to even greater heights, which continued through the 1940s, '50s and early '60s. In 1975, Coppola purchased this glorious estate, which had lost much of its glamor and aimed to make great wines again; he named it Niebaum-Coppola. His first great wine - and one that he continues to produce today - was called Rubicon, primarily Cabernet Sauvignon from a clone Niebaum brought over from France. The first vintage, the 1978, was released in 1985 and immediately brought Coppola new fame as a vintner as well as movie icon. Several vintages later, the wine was hailed as one of Napa Valley's most distinguished, a status it maintains to this day. While Rubicon has always been the most recognized wine from this estate - indeed, Coppola used this nomenclature as the new name for the estate - there is another outstanding Cabernet Sauvignon produced from these certified organic estate vineyards. Named Cask Cabernet, in honor of the famous Cask wines produced by John Daniel, the wine is 100% Cabernet Sauvignon aged not in small French barrels, a la Rubicon, but in mid-size (500 liter) American puncheons. The first vintage, the 1995, debuted in 1998; I've tried a handful of vintages since and have always been impressed with the balance and polish of this wine as well as its terroir. Any discussion of terroir with Napa Valley Cabernet Sauvignon has always been a trick thing, in for no other reason that many of the vineyards are quite young and have yet to develop specific characteristics. But with the Cask Cabernet, we are talking about vineyards that are decades old on soils that yielded some of California's finest Cabernet Sauvignons during the 1940s and '50s. I tasted the 2006 the other night and greatly enjoyed the wine for several reasons. This is medium-full - 2006 was not a powerful vintage - with a generous mid-palate that offers tightly packed fruit, balanced acidity and firm, but balanced tannins. There is also a distinct earthiness in the finish - what Napa Valley Cabernet lovers refer to as "Rutherford Dust." The oak is admirably subdued and there is excellent persistence. While it is balanced enough for big red meats now, this wine needs time to show its best qualities. It should round out nicely in another 5-7 years and drink well for another 7-10 after that. Given that, the $75 tag for a 100% Cabernet Sauvignon from one of Napa Valley's most historic plots is a reasonable price. Bravo to Francis Ford Coppola and his viticultural and winemaking team on this marvelous accomplishment!